I received my first United States Passport when I was just a toddler so I could travel to England in 1950 with my mother and younger sister. I have had one ever since. Back then, while having a Passport was required for international travel it served personally as a sort of record book in which we collected the entry and exit stamps of the countries we visited. Now, while some countries still put a stamp mark in the my passport most are simply read electronically. They simply read the encoding on my passport when I enter a country to record my presence and then again to record my exit. While in another country my passport identifies me as a citizen of the United States of America to various governmental officials and merchants alike. What many people do not realize is that most countries require that passport to be valid for at least 6 months while in country. I don't know how many calls I've fielded over the years from people who had bought a vacation online only to realize at the last minute their passport was either already expired or had less than six months left on it. Invariably they say, "It didn't say anything about passports on the website where I booked my trip." This is where I say, "You should have used a Travel Agent!!!" You see when helping a client plan a vacation that involves crossing a national boundary one of the first questions a Travel Agent will ask is, "Does everyone going on this trip have a valid U.S. Passport?" If not, the Travel Agent will either give you the form to fill out and explain what you need to do to get one or will ask you to look at it and make sure it is up-to-date. I usually ask my clients to either bring it by and let me take a look at it. The reason I want to look at their passport is to make sure it is valid and to examine it for a small piece of information I've never seen on a website. That little piece of information can make or break an international vacation. 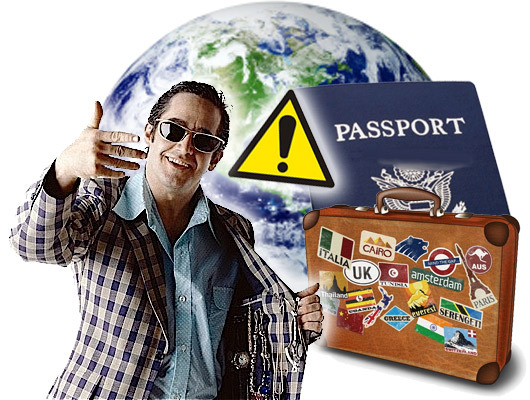 You see every passport must have at least two blank pages for visas and entrance and exit stamps or you will have problems at the point of entry in most foreign destinations. So what to do, if you find your passport is expired, has less than 6 months left before becoming expired or does not have two blank pages? The answer: The only thing you can do is get your passport renewed. It takes a typical passport through the Department of State takes 4 to 6 weeks to process and issue. You can get expedited service for an additional $60 which cuts the deliver time in half assuming you’ve filled out all the paperwork correctly. Otherwise you are going to have to go in person to a consulate or pay a a third-party provider to walk it through the process. Personally, if your in that kind of bind I often want to say louder than previously, "You should have used a Travel Agent!!!" However, now you need the services of a company like It's Easy Passport or Fast Passport. These companies can get your passport processed in about a day . . . . for a fee of course. If there is any good news in this it is that these companies and others like them can also take care of any visas you may need. Yep, They can usually get it done for a price. You might need to get that other VISA out. I word to the wise . . . do it now. Well, what are you waiting for?